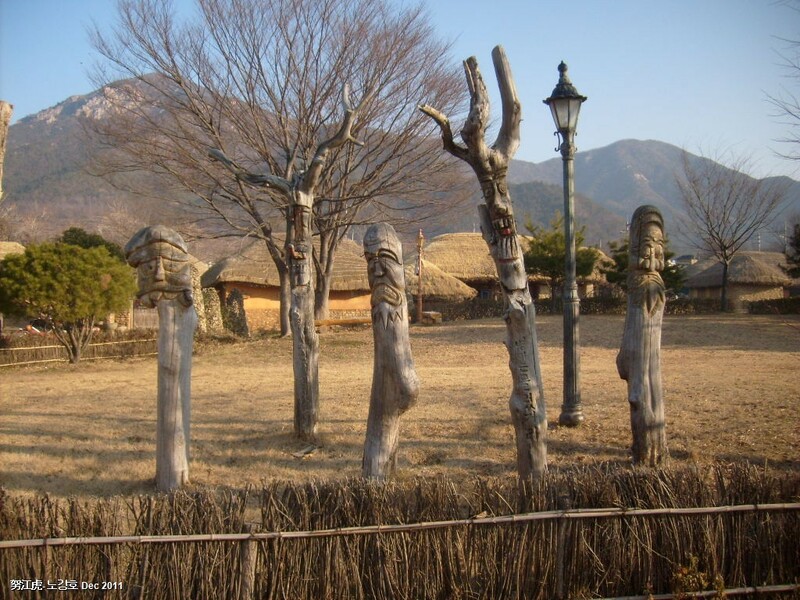 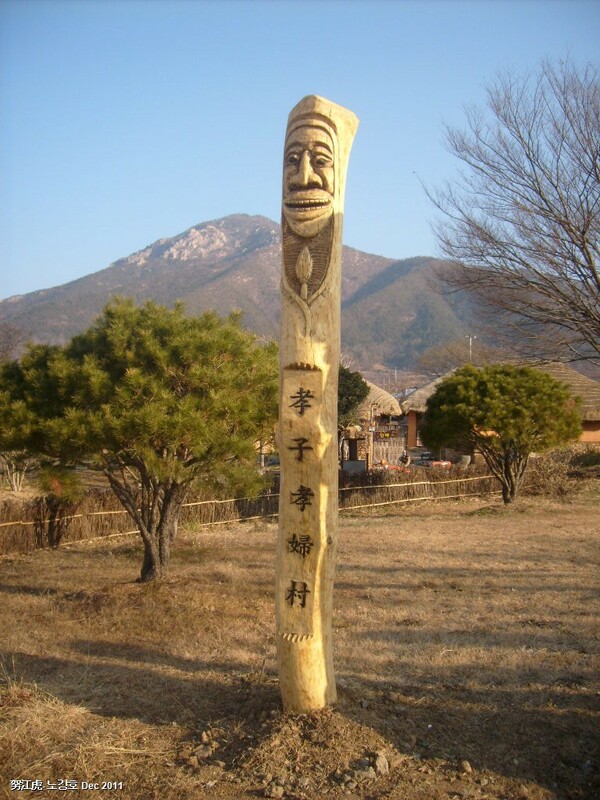 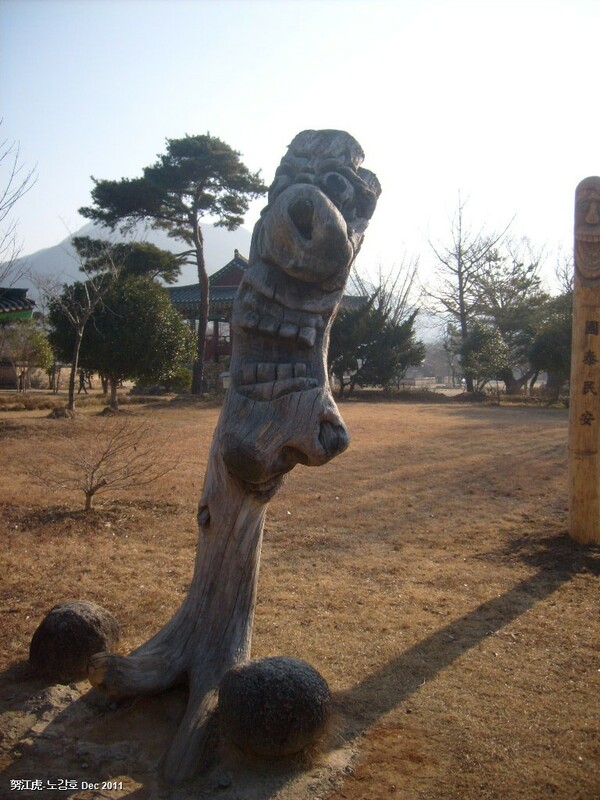 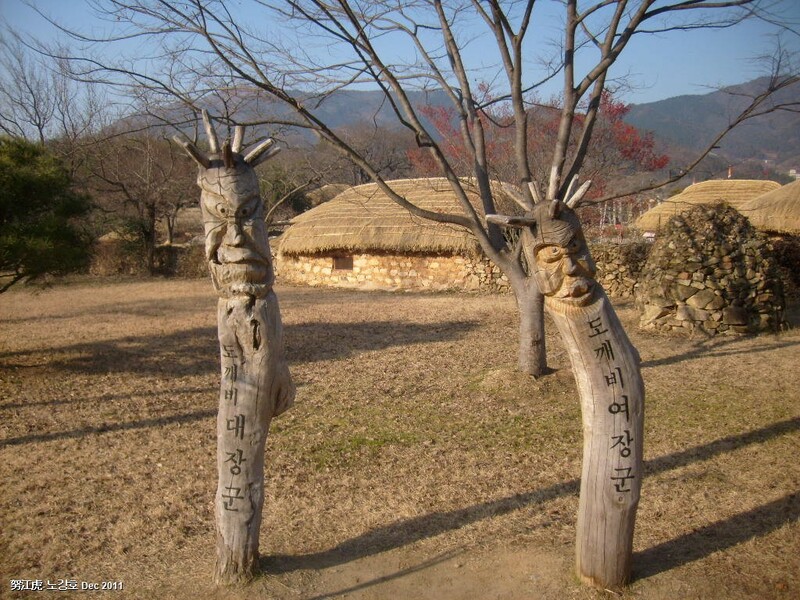 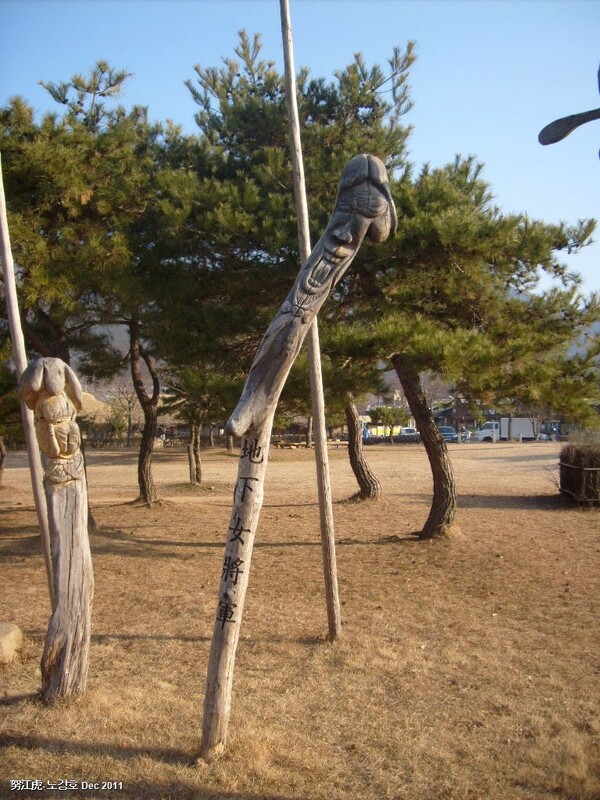 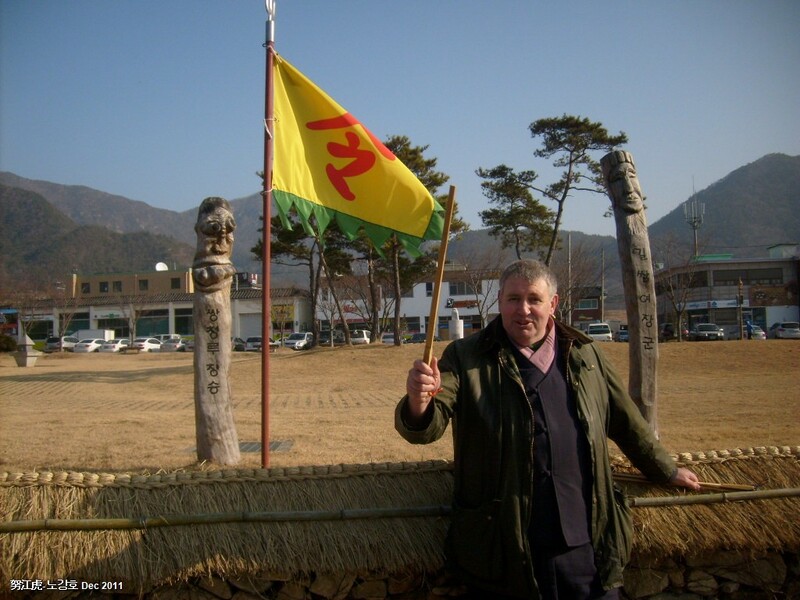 I am always fascinated by the designs of Korean totem poles, known as jangseung (장승) and have previously written about their character in relation to the nature of Korean wood (Village Sentinels Nov, 2010). 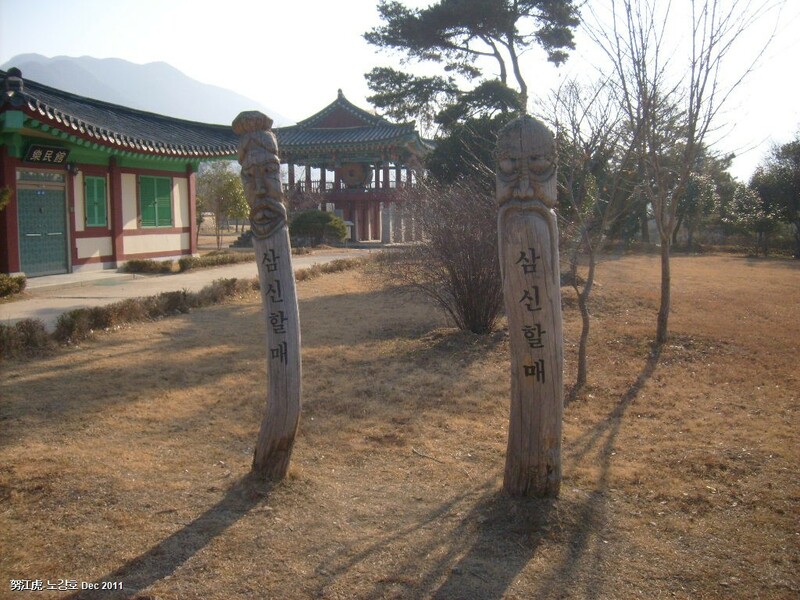 I recently visited Dong Nae Traditional Folk Village in Cheollanamdo, near Suncheon Bay, where there is a large collection of old and new jangseung. 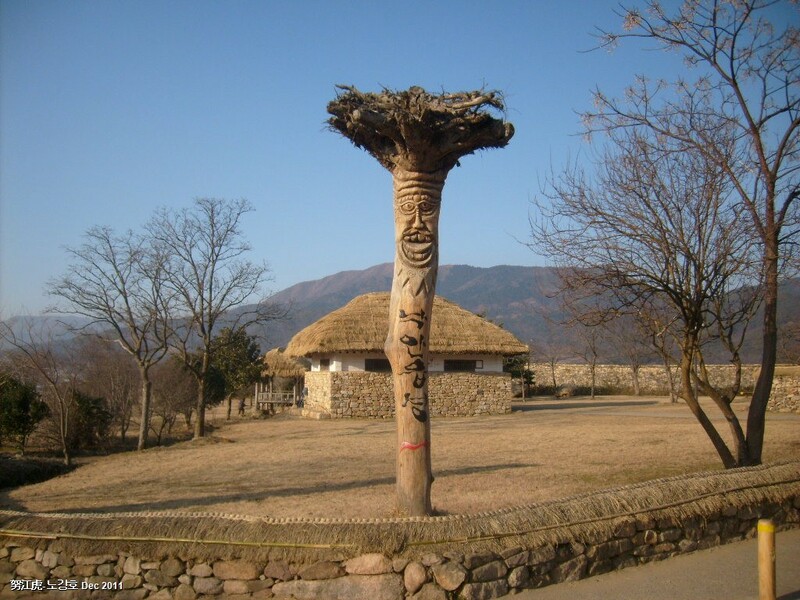 Some were functional village guardians performing their traditional role of protecting the village while others were either decorative or provided directions. 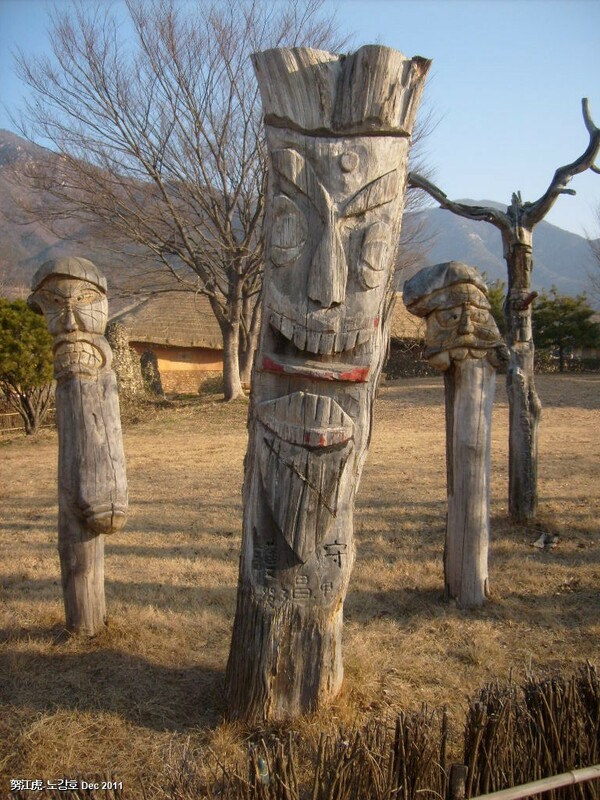 Jangseung are incredibly emotional and part of their allure lies in the relationship between the form of the wood and the manner in which it has been carved. 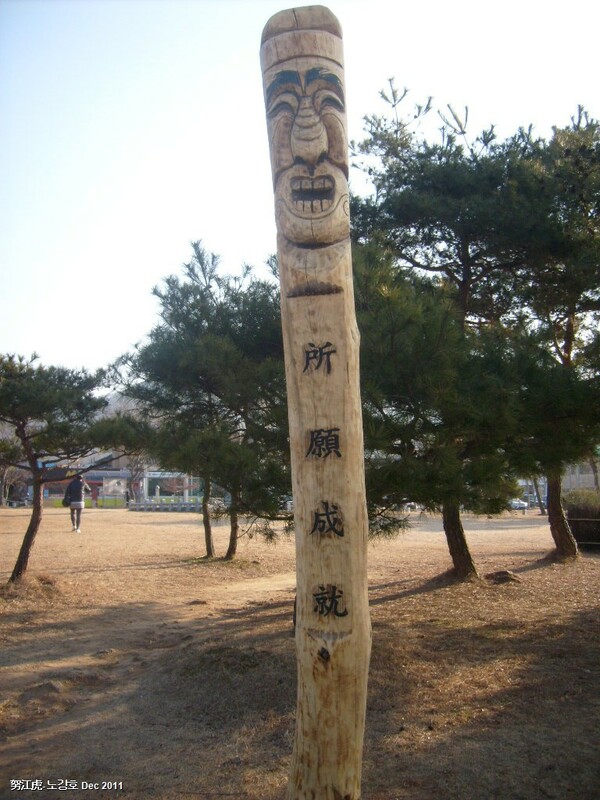 The carving below, actually the sign for the toilets, is a good example of this synthesis. 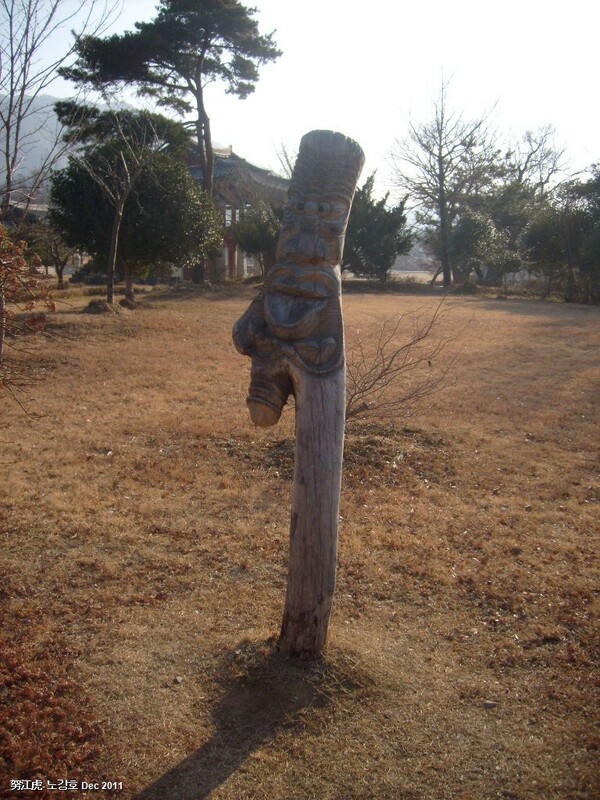 The nature of the wood, twisted and buckled has been enhanced by the knotted and gnarled face that so clearly conveys ‘agony, discomfort and urgency.’ ‘Bursting for the bathroom’ is expressed both by the face and the ‘buckled’ wood and though you can’t see the knees, you know they’re probably ‘knock-kneed.’ So successful is this synthesis you can feel the discomfort. 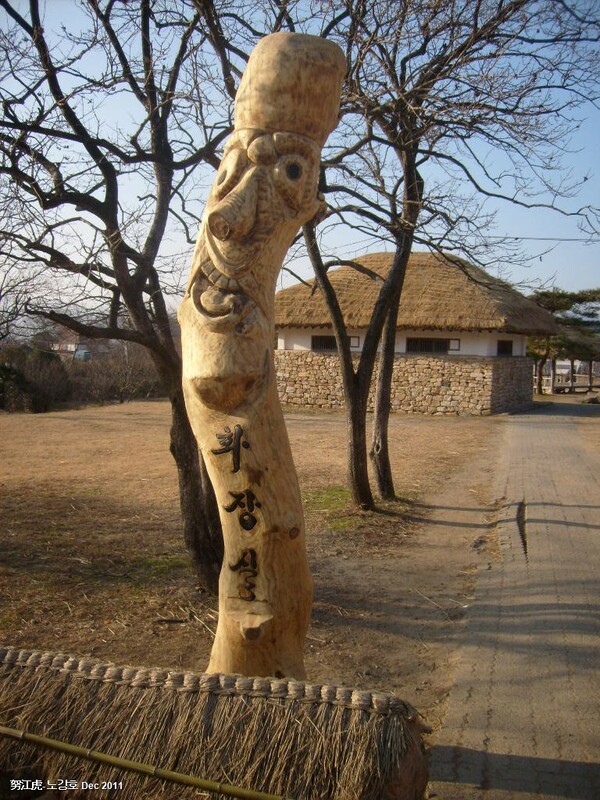 The symbiotic relationship between wood and carving is so entwined they seem inseparable and even if the face were to be carved away the remaining form would still convey ‘urgency’ and ‘discomfort.’ Of course, there are other emotional expressions to which this one piece of wood could be adapted. 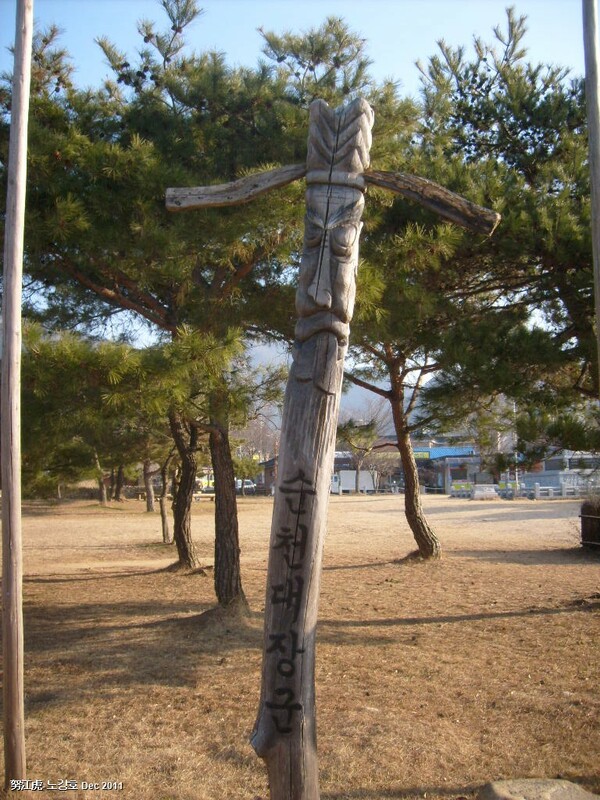 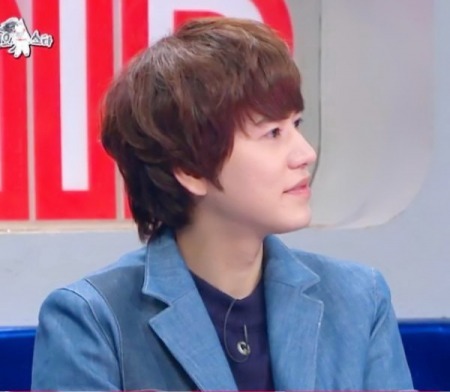 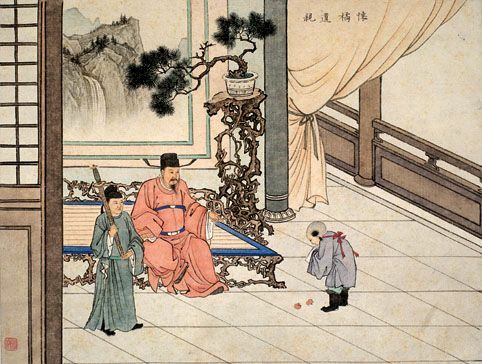 A typical male design. 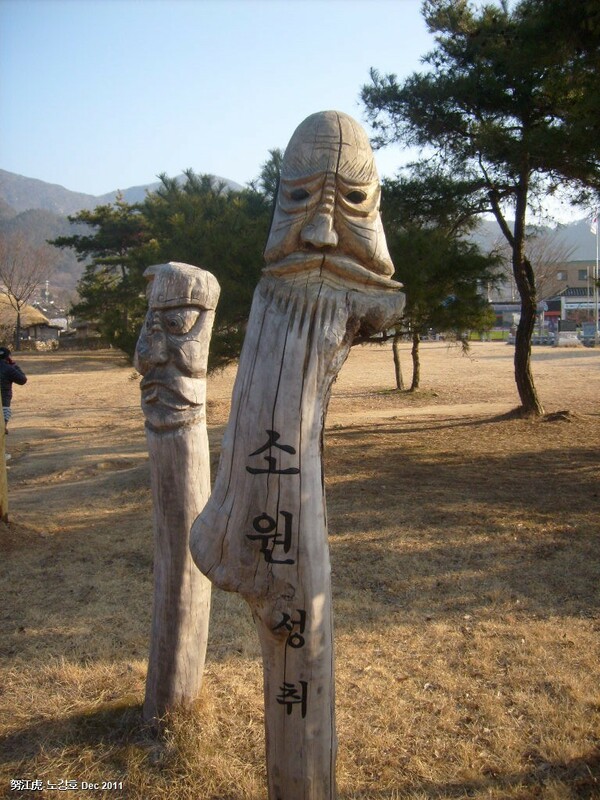 This is the Major General protector, for Suncheon, the town closest to Dongnae Village.